Serving Pacific Rim Thai food for over 20 years. 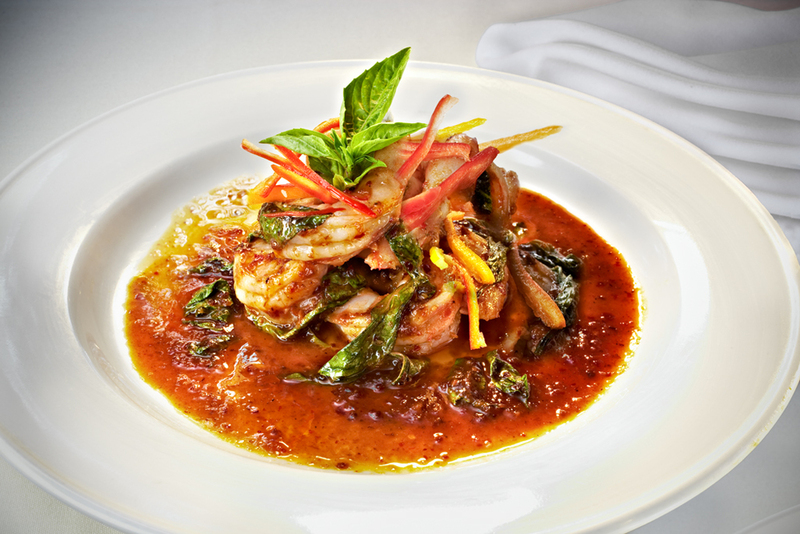 The Lemon Grass & Bistro Elephant Steakhouse have been committed to bringing innovative, fresh, and delectable Pacific Rim Thai food to our dedicated clientele for over 20 years! First established in 1990 as The Authentic Thai Restaurant of Syracuse in Mattydale, we moved to Armory Square in downtown Syracuse four years later, changing our name to Lemon Grass. We have built a reputation as one of the best restaurants in the Central New York Region, winning Northeastern awards for food and international awards for our wine list. From our fresh spring rolls to our mouth watering curries and innovative desserts, the tongue becomes a palate and the dining experience becomes a memory. Owners Max and Pook Chutinthranond are proud to present their passion for fine cuisine. Enjoy! When customers ask our servers what's good on our menu, we reply, "Everything!" For over a decade, the Lemon Grass has received an overwhelming amount of awards from the Wine Spectator, Maple Leaf Farms, Daily Orange Newspaper, and Syracuse News Times. The American Heart Association, Syracuse Symphony Orchestra, and the Museum of Science and Technology have also rewarded us for our achievements with community interaction. Almost every year, the Lemon Grass gives back to the community by raising funds or donating money to the public. "I wanted to let you know how sincerely appreciative I am of the outstanding service I received during my last dinner program at your restaurant. Our speaker was unable to make it due to bad weather. Quickly you responded by providing the necessary equipment for a live teleconference and adjusted the room to accommodate the change. You did so with complete attention to detail, professionalism and efficiency. This attitude is what I have consistently experienced during my many contacts with you and your fine restaurant over several years. The exquisite food, professional service, and delightful atmosphere are consistently of the very utmost quality, a rare find in the world of business today. Again, thank you so much." "Over the last five years, I have used Lemon Grass on numerous occasions to host our business functions. The food and service has always been superb. The convenience of having the built in AV equipment and the parking garage next door is also a draw for our company. We always know we're going to have a strong turn-out when we hold our business functions at the Lemon Grass." "I have had the good fortune of enjoying cuisine from all over the world, and was first introduced to Lemon Grass in 1994. The experience then, as it is now, was truly exceptional. My company will almost use Lemon Grass for our discerning customers with an appreciation for great food complimented by a fine selection of excellent wines. I must say that there is no better personalized service in the whole city of Syracuse, which ultimately has me coming back for more." "Having been to Thailand many times, I really appreciate how authentic the cuisine is at Lemon Grass. It's like being in Bangkok, but with superior ingredients and a while tablecloth."